It’s not that Wolves haven’t had their moments in the past 30 years. Indeed, they even reached an FA Cup semi-final 21 years ago, where they faced Arsenal at their peak. Yet in those days defeat felt inevitable. The charm which has the surrounded the Norwegian until now had dissipated in the last week, with two defeats. This raucous night under lights made you imagine what it must have been like to watch Wolves in their prime, Billy Wright and all, taking on Honved in the 1950s. They have now seen off Liverpool, Tottenham, Chelsea and United this season. As United found on Sunday night, they are the genuine emerging force of English football. Raul Jimenez opened the scoring for the home side in the 70th minute. Yet both managers had their eyes on the famous old trophy. The only significant changes were the goalkeepers. 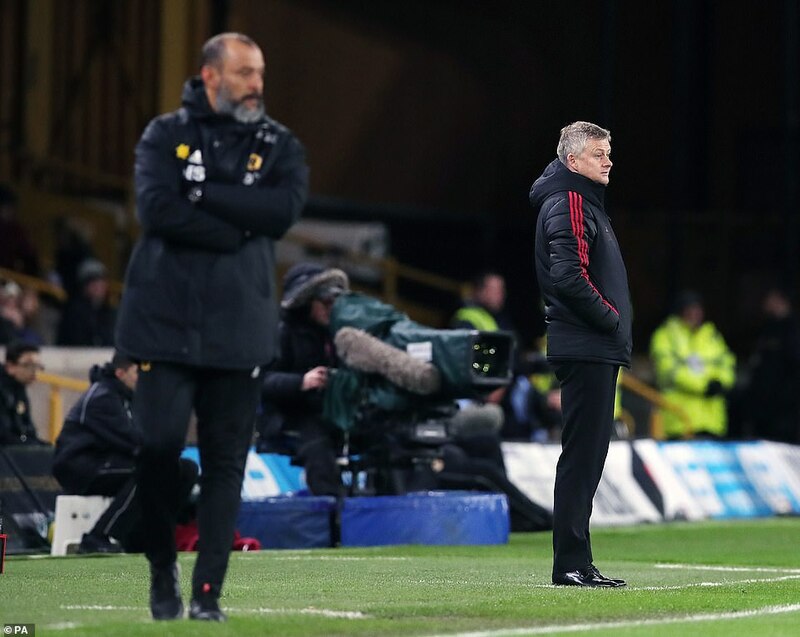 Otherwise Nuno Santo stuck to his best starting eleven. And Ole Gunnar Solskjaer’s changes were largely tactical or enforced: Diogo Dalot for Young, Ander Herrera for Fred and Anthony Martial for Romelu Lukaku. Yet the early exchanges were absorbing rather than thrilling. Solskjaer reverted to his first formation of 4-3-3, with Pogba playing the advanced midfield role behind a front three of Martial, Marcus Rashford and Jesse Lingard. 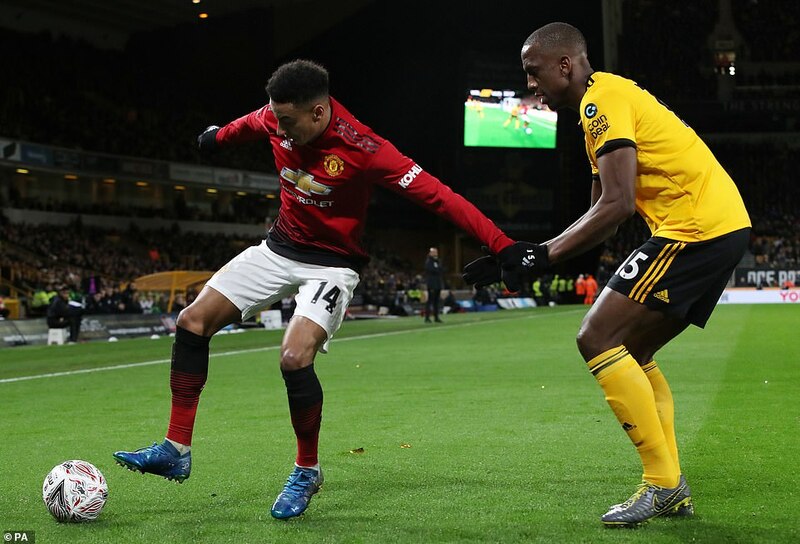 They probed, with Rashford’s movement impressive, always looking to get in behind Wolverhampton’s back three. Yet Nuno’s team are too well organised to concede much. They allowed United possession drew them on and bided their time. But a Pogba strike wide and a Rashford shot from 30 yards is all they really produced in that opening quarter, despite the intricacy of their passing. Wolves would have their moments. 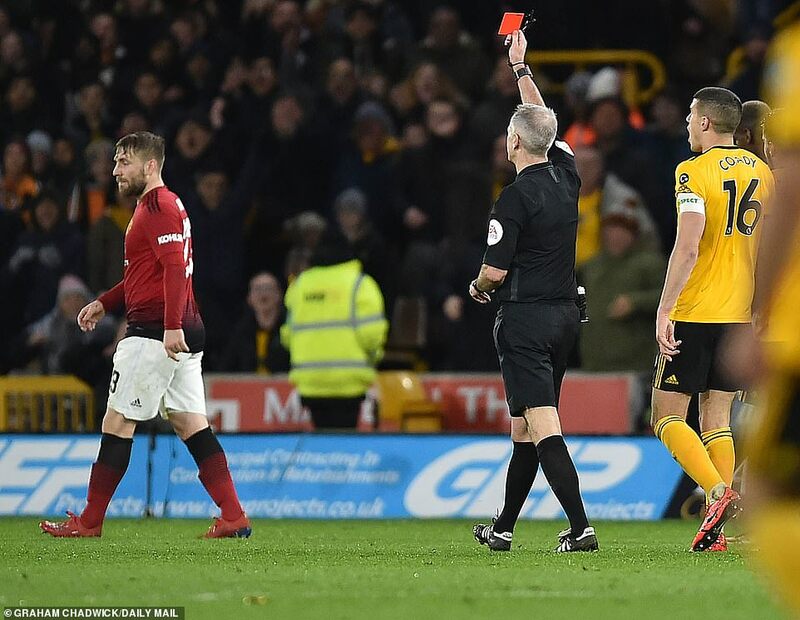 Matt Doherty’s cross for Diogo Jota, which saw the striker stretch out a leg and force a save from Sergio Romero served warning that more was to come. Then a flurry of VAR issues livened up proceedings. 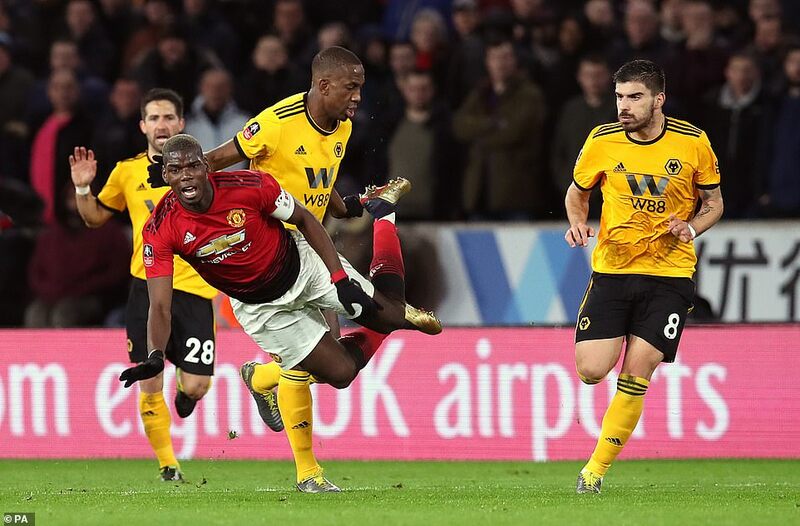 Wolves claim came from a 36th minute Joao Moutinho corner, with Chris Smalling bundling into the back of Willy Boly and Leander Dendoncker. 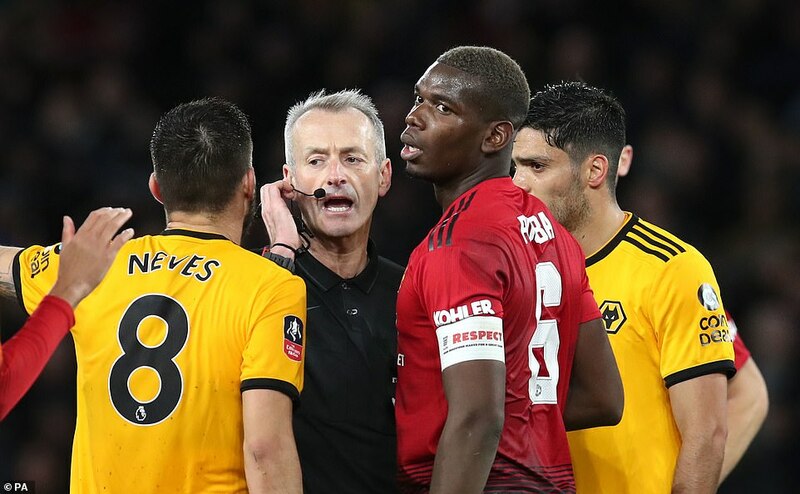 Smalling did have his arm loosely around Boly, but it seemed a rather normal coming together and referee Martin Atkinson didn’t appear to consult his video assistant. 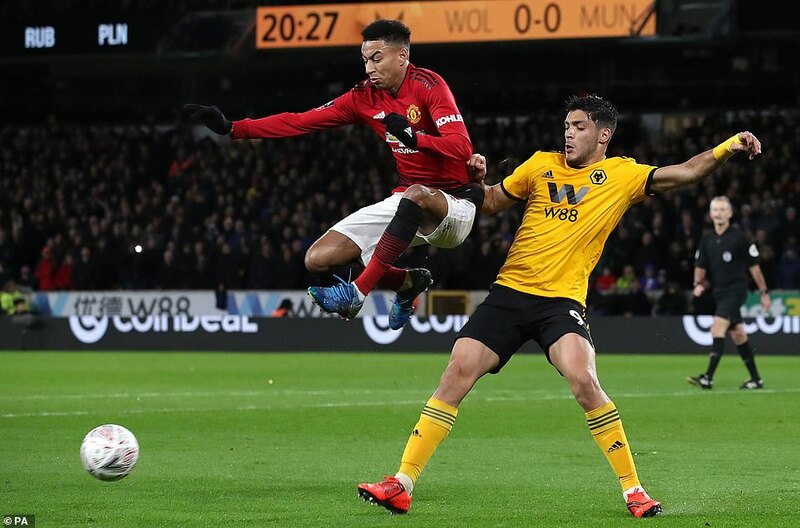 From another United corner just before half-time would come the best chance of the half: for Wolves. 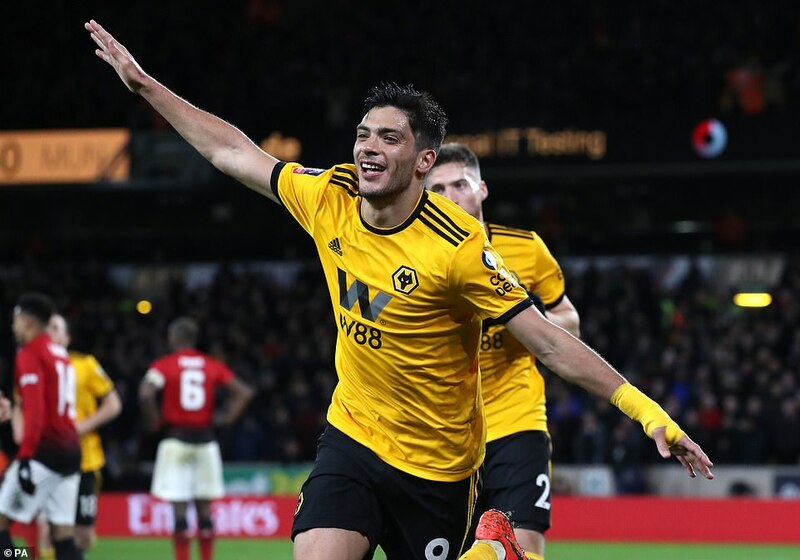 Catching United on the counter, Wolves advanced the ball to Ruben Neves who threaded it inside Victor Lindelof, trying to hold the fort on his own, for Jota. Credit Romero for swiftly closing the angle by advancing off his line and smothering the ball, but Jota should have scored. Wolves though were encouraged. They scented blood, more so when Neves delightful curled pass fell just short of Jimenez a minute later. 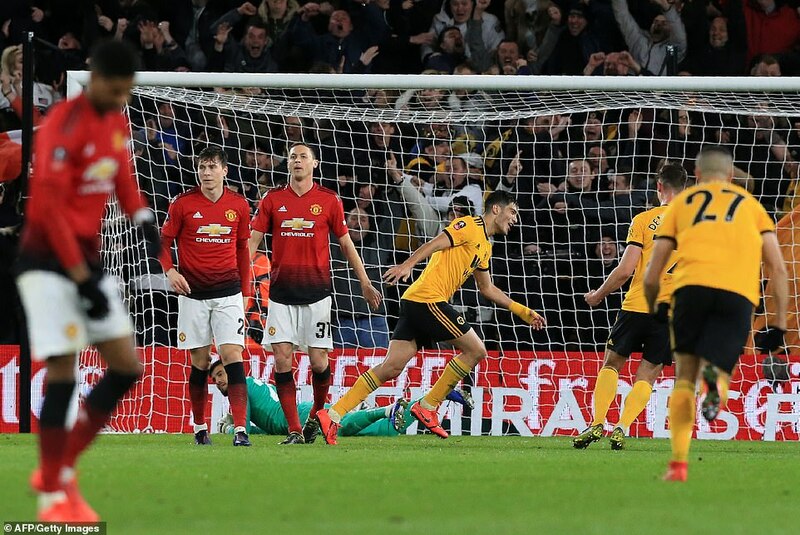 And then when Moutinho found space to open up and curl a shot from 20 yards, United were grateful again to Romero, diving to his left to touch the ball over the bar. Despite the fact that Lindelof blocked his first strike and that there appeared to be three defenders around in, the Mexican managed to swivel round, connect again and strike past Romero, who on this occasion could barely see from whence the ball came. 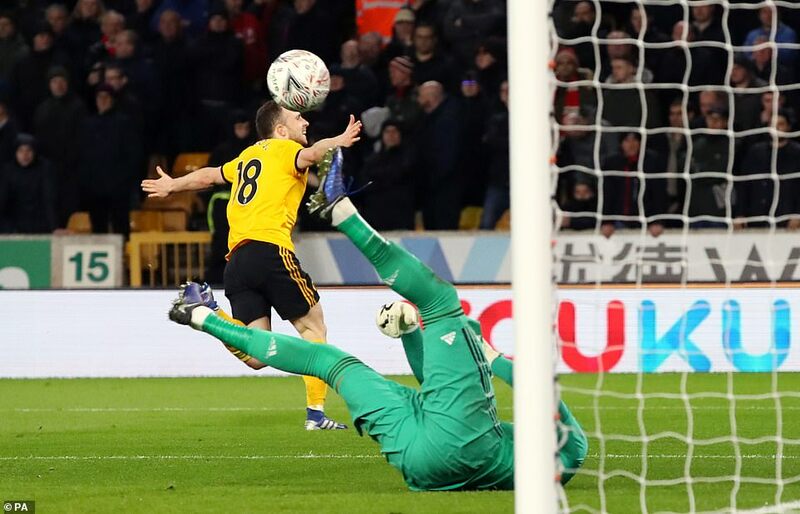 It was an extraordinarily sloppy goal to concede and yet well deserved for Wolves. Worse was to come for United in terms of defending. 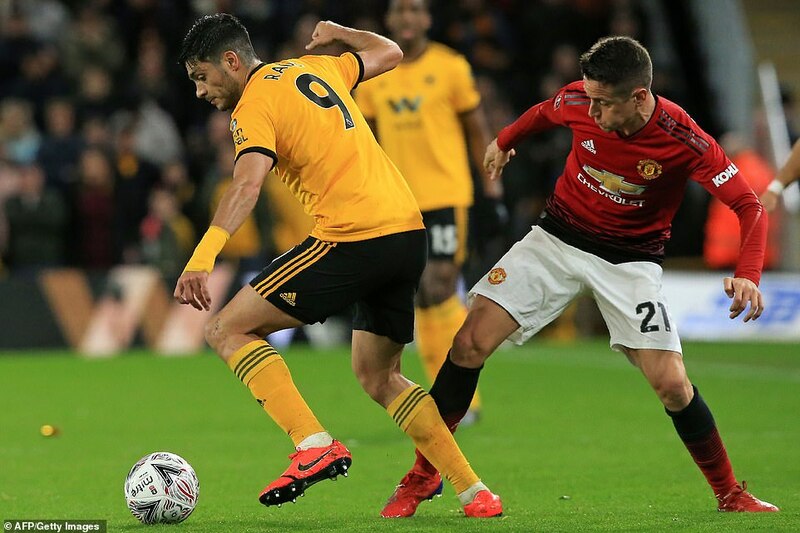 As they threw men forward to attack – Andreas Pereira was on for Herrera – Wolves countered on them, hooking the ball out for Jota. 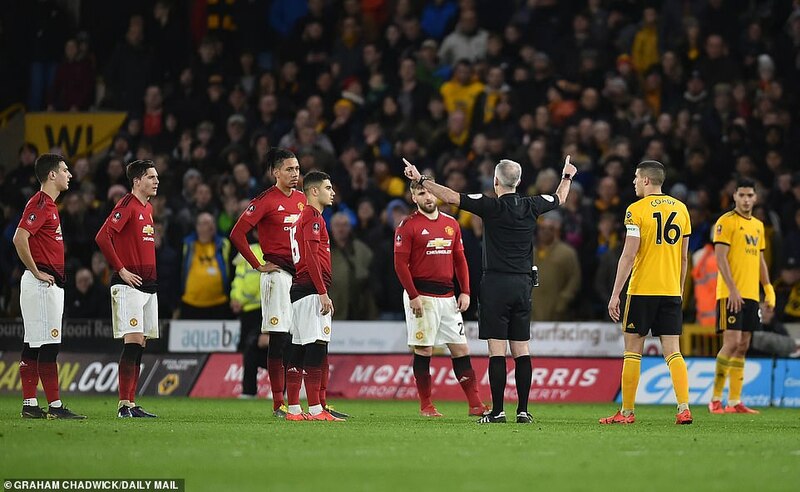 Luke Shaw was the last line of resistance and though initially he seemed he have the situation under control, Jota’s desire and aggression simply saw him get the better of the left back, leaving him on the floor. 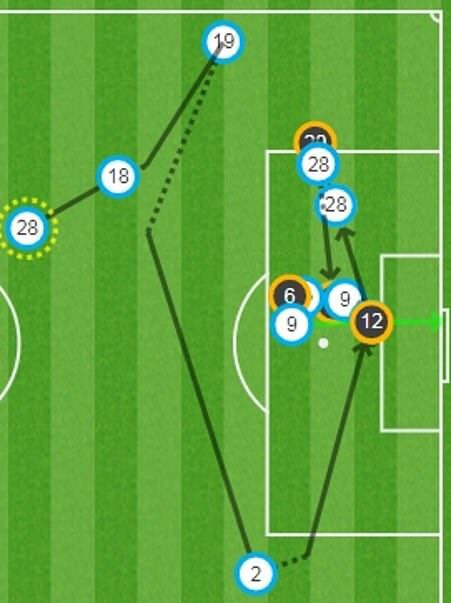 Now he advanced on goal and Lindelof rushed back to attempt to block him. But he got his shot away, Romero, for once, reacted late and slow, and it crept in past him.